It's Where You At: Davao Food Appreciation Tour (DFAT) 2013: Truly A Gastronomic Experience! 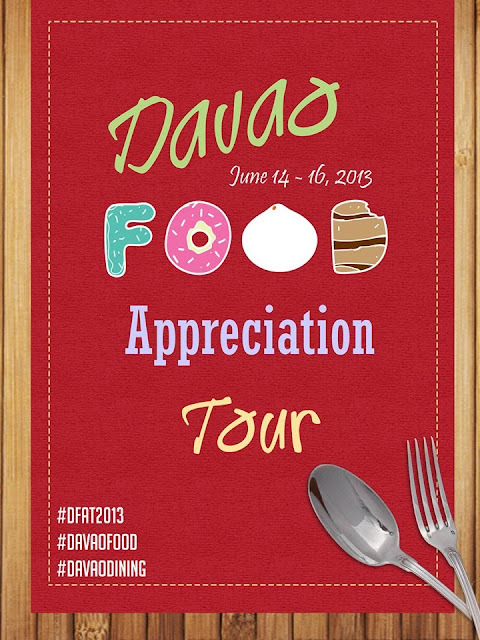 Davao Food Appreciation Tour (DFAT) 2013: Truly A Gastronomic Experience! I am happy and privileged to be part of Davao Food Appreciation Tour 2013 , now on its 6th year. More commonly called as DFAT, it has become a much anticipated yearly activity that aims to gather bloggers mostly coming from Davao City to be part of the 'three day event full of food, fun, and friendship'. 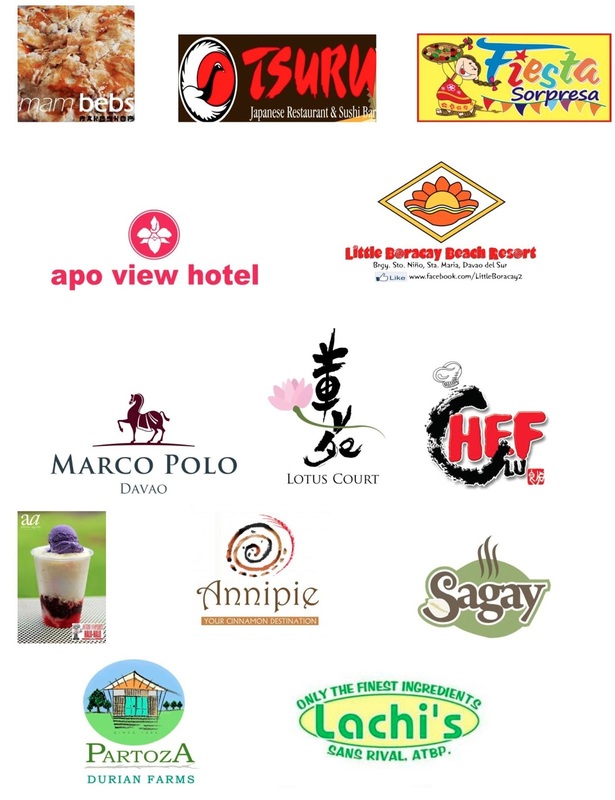 Special acknowledgement goes to the following sponsors: Mam Bebs, Tsuru Japanese Restaurant and Sushi Bar, Greenwich, Fiesta Sorpresa, Little Boracay Beach Resort, Lachi’s Sans Rival, Atbp., Chef Lu, Lotus Court (Marco Polo Davao), Anniepie, Partoza Durian Farms, Aling Fopings, and The Apo View Hotel. 15% Off First Order with coupon code 15%off on Romwe.com! It's nice that there are always events there that involves bloggers. wish we have the same event here too, would be so much fun to enjoy foods with other bloggers. I agree with all the comments. you guys have a lot of events there. I have missed joining bloggers' events. I wonder how you guys maintain your beautiful figures with all these gastronomical experiences? kakaingit naman ang mga Davao bloggers. A very nice activity like this will definitely perks up one's urge to write more. Ang daming foods nyan.